Jamie and Sophia have a history of heartbreak, and the last thing Sophia wants is for him to steal her leaving thunder with his stupid arriving thunder. Yet as the week counts down, the relationships she thought were stable begin to explode around her. And Jamie is the one who helps her pick up the pieces. Sophia is forced to admit she may have misjudged Jamie, but can their seven short days of Tokyo adventures end in anything but good-bye? Published by Little, Brown Children's in the U.S. and U.K. in 2017. 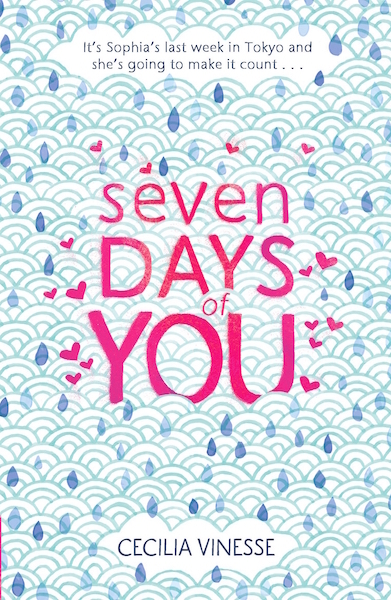 Seven Days of You also has a home in Germany (DTV Junior), Italy (Piemme), France (Pocket Jeunesse), Spain (Urano), and Brazil (Globo).